First, it helps to know where the phrase originates. Like most facets of Ignatian spirituality, it is rooted in The Spiritual Exercises of St. Ignatius, that manual for silent retreat, conversion, discovery and embrace of God’s will that the saint fine-tuned during his lifetime. At a certain point in the retreat we are invited to ask ourselves: “What have I done for Christ? What am I doing for Christ? What ought I to do for Christ”. 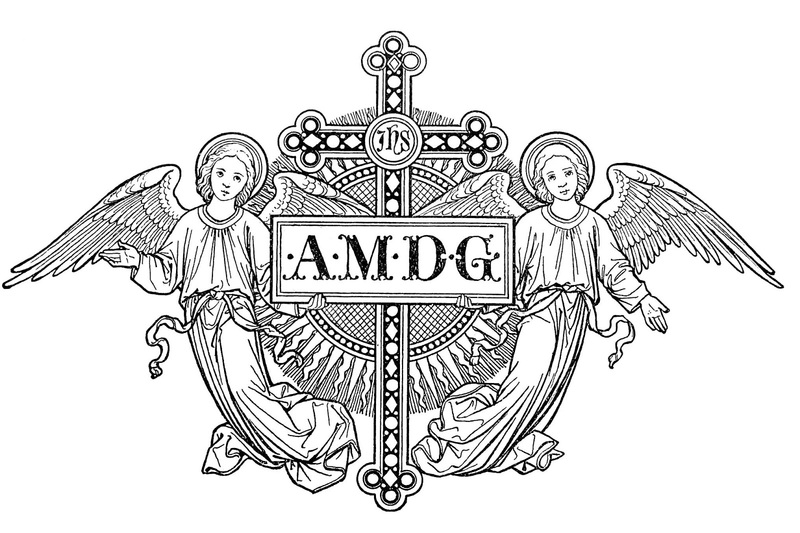 The key word implied in the last question is “more”, which in Latin is the word “magis”, a word related to the “majorem” in the A.M.D.G. acronym. Both words infuse Jesuit thinking, and those who follow them spiritually and intellectually constantly ask themselves what they can do more for Christ. This more, however, is not necessarily more works, projects or undertakings, understood in a quantitative sense, but rather a “greater” according to the lens of the raison d'etre of the human person. According to St. Ignatius in the Spiritual Exercises, “man is created to praise, to reverence, and to serve God our Lord, and by this means to save his soul”. This prime purpose of life is called “The Principle and Foundation”. The most important question of all, then, is whether my life can give better praise, reverence and service to God, and in this way give him greater "glory". There are different ways to understand glory. First, glory is the radiant presence of God in the world: “The world is charged with the grandeur of God,” cried the great Jesuit poet Gerard Manley Hopkins. God’s glory can be the luminous presence of lives lived in conformity with God’s will, of those who have said “yes” to God and his action, resulting in a divine brilliance that should radiate in them. As the Gospel said: “Let your light shine before men, that they may see your good works and glorify your Father in heaven” (Mt. 5:16). This inner radiance is a signifier of God’s presence, and “the glory of God,” wrote St. Irenaeus, “is man fully alive.” We will be more alive as we labour more to bring God to humanity and vice versa, no matter what our calling or station in life. 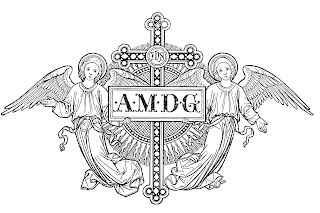 Living AMDG-Magis is, in the end, not about what I can accomplish, but rather about how God is living and working in me and through me. In a sense there is always a “more” required of us, because God is a God of love who is “ever-more” – never limited, always greater than our capacity to grasp, always drawing us to horizon beyond horizon. This is why the Christian life is a great adventure, that spans the here-and-now, the already-and-not yet, both heaven and earth. Eternity will be a continuous journey into the inexhaustible “ever-greater”-ness of God. We begin now by seeking him in all things, growing in love of others, and being generous in spirit. Take, Lord, and receive all my liberty, my memory, my understanding, and my entire will. All I have and call my own. Whatever I have or hold, you have given to me. I restore it all to you and surrender it wholly to be governed under your will. Give me only your love and grace and I am rich enough and ask for nothing more. When we live for the "greater glory of God", we will find that everything we thought we once had, then given away, is given back to us in ways always greater. With God's love and grace as our sole currency, we find ourselves part of the glory, which is ever greater than ourselves.